This morning, Adobe announced that it will end support for the Flash Player at the end of 2020. Over the past 20 years, digital firms have used Flash content for everything from clickable ads to games to interactive learning and rich internet applications. When I started at Forrester in 2006, Flash ran neck and neck with Ajax frameworks like jQuery as the preferred method for enterprise developers building rich Internet applications. A shift to mobile-first. As developers shifted their efforts from web to mobile, and to the iPhone in particular, Apple’s decision to deny Flash support on iOS resulted in native mobile development becoming more popular than Flash-based RIA development. HTML5 is a fully capable option now. In 2010, we wrote that HTML5 wasn’t yet ready to fully displace RIA technologies like Flash and Silverlight and opined that they would have another five years to run. 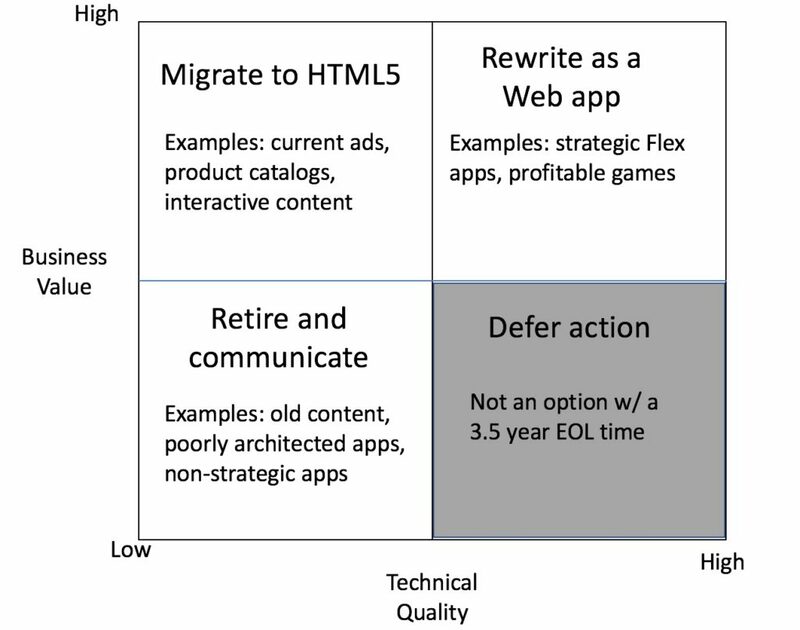 Seven years later, we’ve passed the point where HTML5 is “good enough” to support the types of Web content and apps developers used to prefer delivering in the Flash player. So now the Flash player will end life on December 31, 2020, quickly followed by Microsoft Silverlight support in October 2021. If your firm still has Flash content or enterprise applications that use Flex, make no mistake — the clock is ticking. You have a limited time to decide what to do. We suggest that you start your plans by applying Forrester’s migration quadrant and act based on the nature of the content and apps themselves (see the figure below). Migrate current Flash content that still has value. If you have current Flash content that’s still in use, try loading it into Adobe Animate CC (formerly Flash Professional) and using it to retarget production of HTML5 assets. But be warned: you migration result may vary based on the complexity of the content. Rewrite core-competency Flex apps. If your organization still supports Flex- or Air-based applications that are strategic or unique to the business, your best bet is to plan for a rewrite using modern web frameworks like Angular, Ionic, or React. Hopefully, these apps are well-architected, with a clean separation between APIs and data access logic and UI logic. If not, it might be better to proceed to the next category below. Retire technically challenged Flex apps and old Flash content. If a Flex app is poorly architected, then it is a candidate for outright retirement. And if content exists for old products, collateral, or campaigns, it should likewise be mothballed. 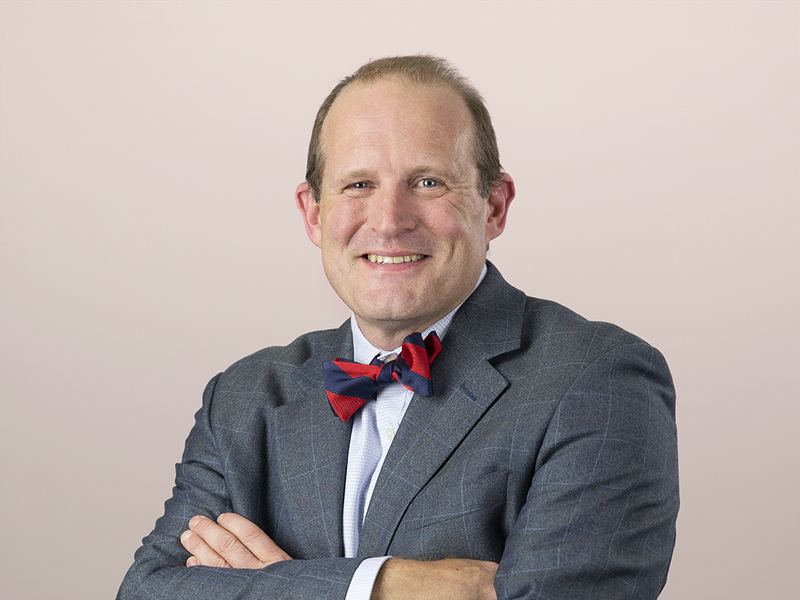 When retiring an application, it is important to manage expectations by establishing and communicating an end-of-life support policy that governs retirement and sets a clear end-of-support date — in this case no later than the end of 2020. Deferred action is not an option in this case. When Microsoft announced the end of life for the VB6 runtime, developers had more then 10 years to prepare for the final date. In this case, with only three-and-a-half years until the Flash runtime disappears, deferring action doesn’t make sense, especially for Flex apps that enterprises may need to rewrite.